Welcome to our September and October Trainees! Congratulations to the following franchisees who opened new centers in September & October 2015! Fall is officially in full swing and Mathnasium Center Directors are showcasing their creativity! “My lead instructor Carol is full of creativity! 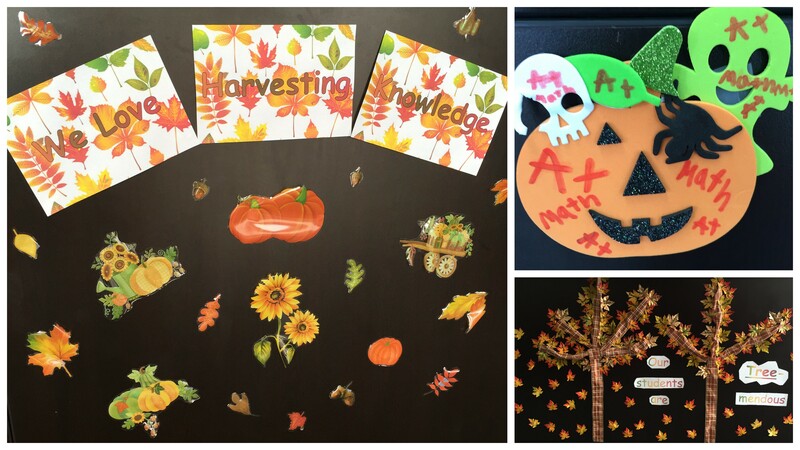 She came up with some really great decorations to celebrate the fall season, our students, and knowledge!” says Mathnasium of Lakewood, TX Center Director Desiré Pierce. We’re loving the adorable pumpkin/ghost/spider/skull combo at the top right, created by one particularly inspired mathlete! Meanwhile, at Mathnasium of Copperfield, TX, a festive fall-themed front desk has students, parents, and other visitors smiling the minute they set foot in the center. Additionally, Center Director Yolanda Castillo and her students celebrated learning center camaraderie by decorating pretty fall leaves to complete a “Mathnasium Rocks” tree! Did you decorate your center for fall or Halloween? 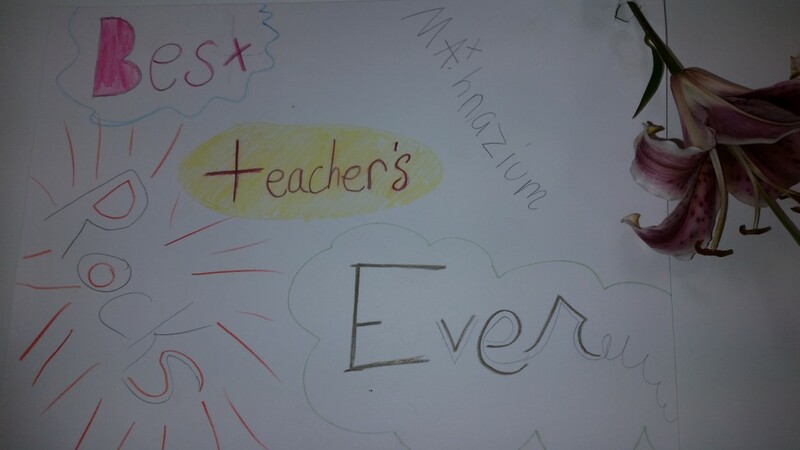 Share your pictures: matters@mathnasium.com. 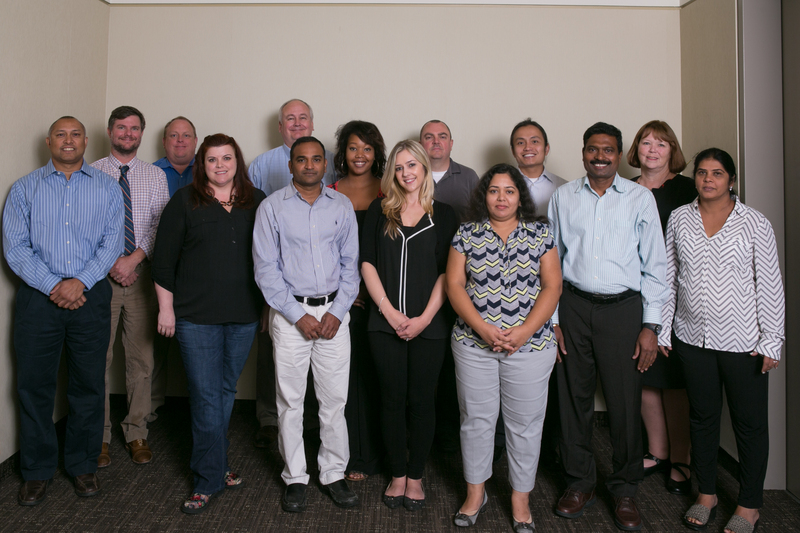 Congratulations to the following franchisees who celebrated center opening anniversaries in September! Welcome to our August Trainees! Mathnasium of Granville in the News! 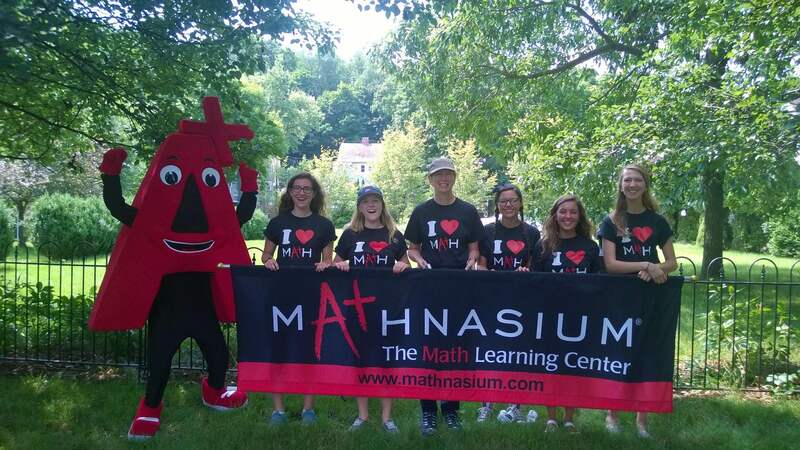 Mathnasium of Granville, OH has been open for about a month, and the center’s already getting media coverage! Check out this local news feature outlining center owner Diane Curtis‘ thoughts about Mathnasium and its place in the community. This student’s meaningful gesture—and significant change in attitude—is another great testament to the power we have to affect remarkable change in the lives of each and every child that comes through our center doors! 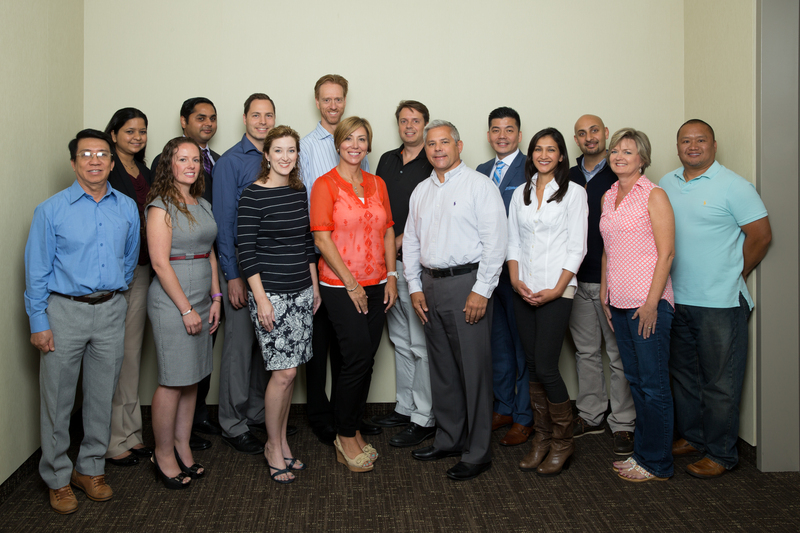 Congratulations to the following franchisees who opened new centers in August 2015! 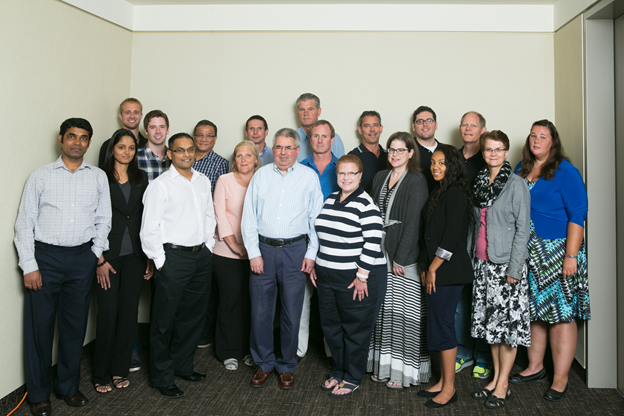 Congratulations to the following franchisees who celebrated center opening anniversaries in August! 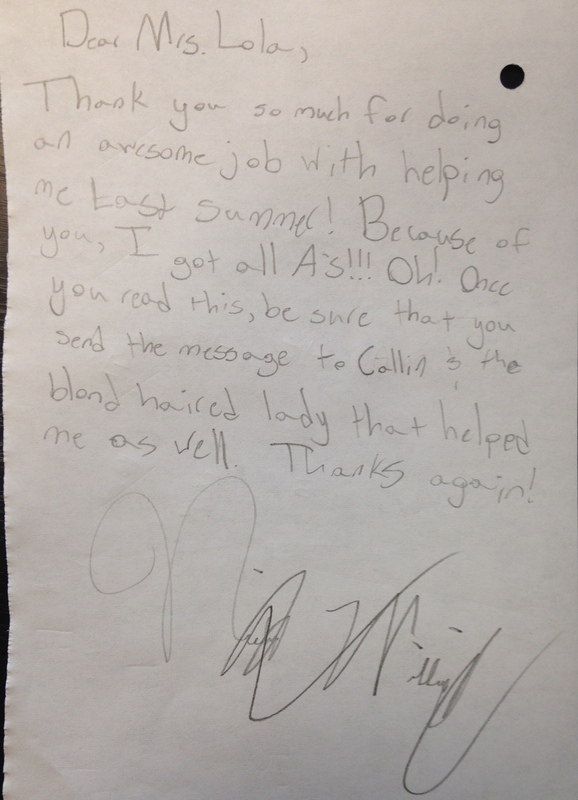 This student was so thrilled with the results of her Mathnasium education that she took the time to hand-write and sign a letter addressed to center owner Lola Ajayi of Mathnasium of West Marietta, GA! If there’s one thing in which we can take pride as a community, it’s the fact that Mathnasium owners are driven by compassion and service as much as they are by business growth. We’d like to acknowledge Glenn & Susan Mikaloff (Centerville and Beavercreek, OH), who truly went the extra mile to help a Mathnasium family in need. A month after the Assessments were originally administered, “the mom brought her daughter in who showed me a handful of cash. She explained that the family had a garage sale, and her daughter sold quite a few of her possessions so that she could afford a month of Mathnasium. We built her a binder on the spot and got her going right away. (We stretched one month into two, and we’ll have to figure out how to convert that to more). Positive vibes are contagious, and through their actions, the Mikaloffs have turned this family into staunch advocates for their center and for the Mathnasium brand. We have no doubt that this family will sing praises for Mathnasium to anyone willing to listen. 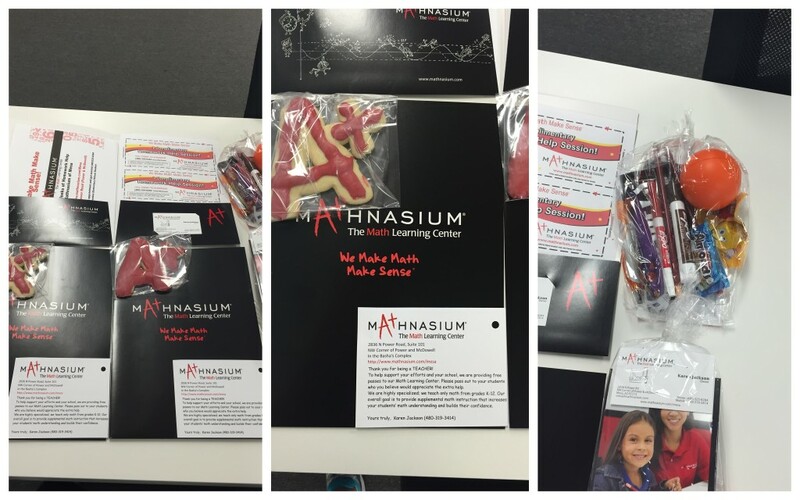 Kudos to Glenn and Susan—through your actions, you embody the true spirit of Mathnasium! 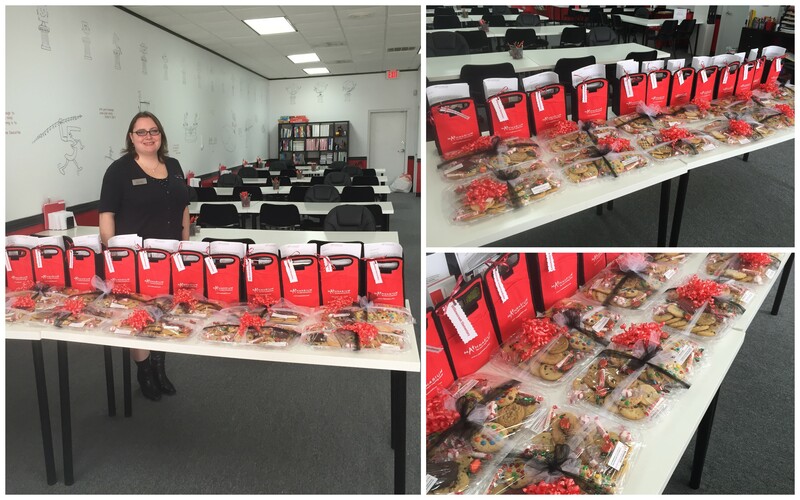 At John & Cathy Labuda‘s Lakewood, TX center, Center Director Desiré Pierce prepared a series of branded gift bags complete with tasty cookies and school supplies for teachers and staff in neighboring schools. “We use this as an opportunity to say three things: we’re here, we hope you have a great school year, and thank you for all you do to educate our kids,” she says. “It has been a great way to reach out to the teachers and staff, give them an opportunity to see our faces, and let them know that we care about the job they do.” Additionally, Desiré includes little tidbits like branded school supplies and business cards to encourage them to keep Mathnasium top-of-mind throughout the school year. Meanwhile, over at Mathnasium of Mesa, AZ, center owner Karen Jackson has been making good use of the awesome A+ cookie cutter she got at the 2015 Convention! Her information packets (sent out to four local elementary schools) come with little gifts like A+ cookies, snacks, and school supplies to brighten a teacher’s day. Karen also encourages prospective students to come into the center and experience the Mathnasium magic by including certificates for complimentary homework help that teachers can hand out to students in need of additional support. Welcome to our July Trainees! 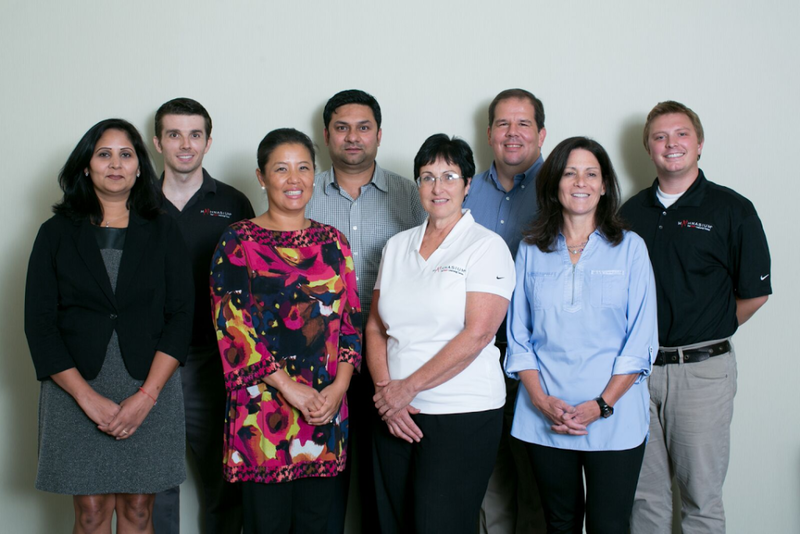 Congratulations to the following franchisees who opened new centers in July 2015! On this last day of July 2015, we’d like to recognize the following franchisees celebrating center opening anniversaries in July!